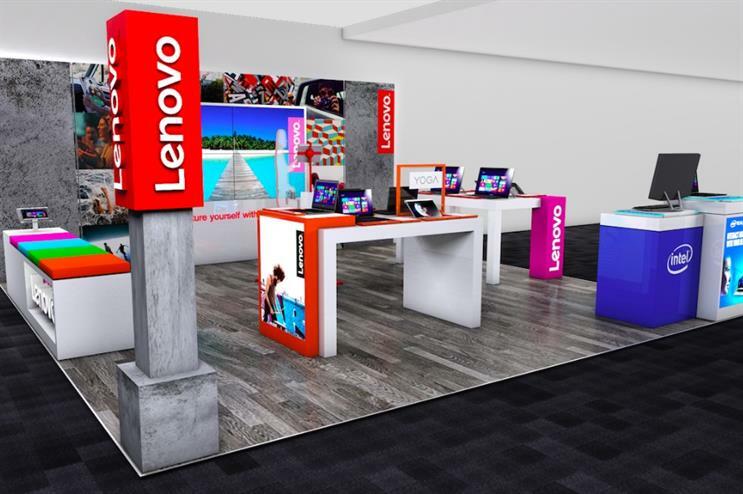 Lenovo has debuted its first retail experience zone in the UK at Reading's Dixons Carphone store. The store is one of two designed areas to allow customers to see, touch and experience Lenovo’s range of products. The second is to open in Dixons’ Bristol Cribbs Causeway store on 18 February. A Lenovo representative will front each branded zone and provide help to interested customers. The initiative has been supported by both Intel and Microsoft, while Retail Marketing Group has worked with the brand to produce the spaces. Additionally, Lenovo has enlisted Total Media to promote the zones. The behavioural planning agency has created a selfie competition to win laptop, encouraging consumers to take a snap in front of a branded wall and posting on social media with the hashtag #expressyourselfie. Those that take part will be able to print out a hard copy in-store through Instabear Technology. Total Media has also brokered a deal with Heart radio, which gives listeners that visit a store the opportunity to win a Yoga 500 laptop. The initiative will initially run for a 12 month trial period, with further potential to expand, depending on success. Guillaume Bouchard, UK and Ireland retail marketing manager at Lenovo, said: "This campaign is our first ever use of branded zones, and we believe Total Media’s approach will lead to a higher consideration of Lenovo products from millennials who will benefit from our suite of products."